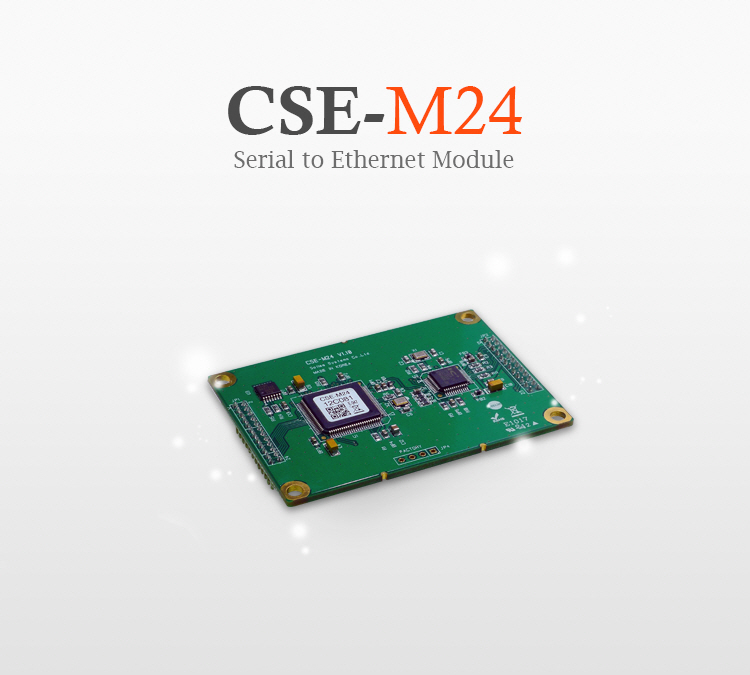 CSE-M24 is a module for manufacturers who want to quickly and easily embed Ethernet connectivity in their products. This module helps your devices get network connectivity with just serial connection. Using this module, not only you can reduce cost and risk, but also you can shorten development time to add the network capability. Because CSE-M24 allows to extend the distance of your serial communication system, you are able to remotely control and monitor the serial devices over the Internet. Since CSE-M24 has four UART interfaces, it could be an ideal solution for environments where multiple serial devices are used such as Power Management System, Automatic Remote Meter Reading System, etc.